Hyundai has released design sketches of its upcoming SUV - the Venue. Thanks to spy shots partially revealing the exterior and interior, there’s little left to imagination now, though. The Hyundai Venue is the production version of the Hyundai HND-14, ‘Carlino’ concept from Auto Expo 2016. The Hyundai Venue falls in a segment in which customers desire a little offbeat design these days. 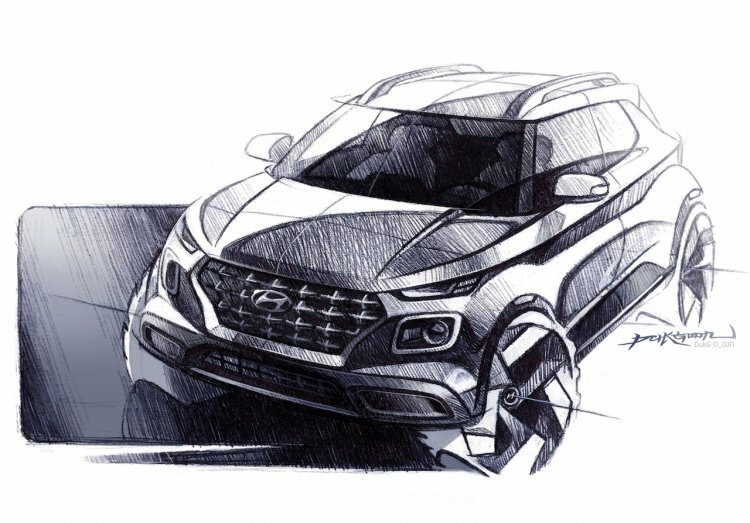 While the squat stance and simplistic profile give it a traditional SUV styling, the front-end is quite new-age, with a large Cascading grille flanked by Composite Light - Hyundai’s name-calling for Euro-style two-tier headlight setup. At the rear, the Hyundai Carlino features squarish tail lamps and the model name inscribed in large letters in the centre of the tailgate. The fog light and reverse light, also in a European style, are positioned separately, in the bumper. As for the interior, the Hyundai Venue’s dashboard is streamlined and keeps in mind the specific needs of Indian consumers. Squarish air vents match the boxy exterior, and there’s minimal use of buttons. 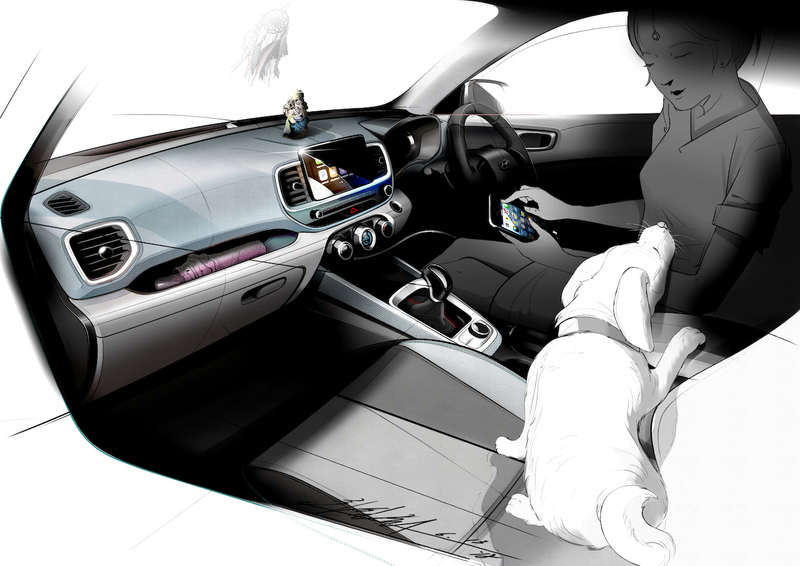 There’s an idol keeping space on the dashboard, a feature especially demanded by Indian customers. A high-mounted touchscreen infotainment system is positioned between the central air vents. With Hyundai BlueLink, the Hyundai Venue will offer 33 different connectivity features, 10 of which will be India-specific. Hyundai will sell the Venue in India with three engine options: 100 PS 1.4L Kappa VTVT naturally aspirated petrol, 90 PS 1.4L U2 CRDi turbocharged diesel and 100 PS 1.0L T-GDI turbocharged petrol. The 1.4L engines, shared with the Verna, will likely come paired with a 6-speed manual transmission. The 1.0L engine, on the other hand, will be linked to a 7-speed dual-clutch automatic transmission. The Hyundai Venue will offer 33 different connectivity features, 10 of which will be India-specific. Hyundai will unveil the Venue in India on the 17th of this month. The same day, the company will showcase it at this year’s New York International Auto Show. The market launch will take place in India first, on 21 May.